When I got there, I immediately noticed that the location couldn’t be better! Not only is it just one block away from the beach, it is also located right in the city centre, very close to the shopping streets, the casino and the concert hall. 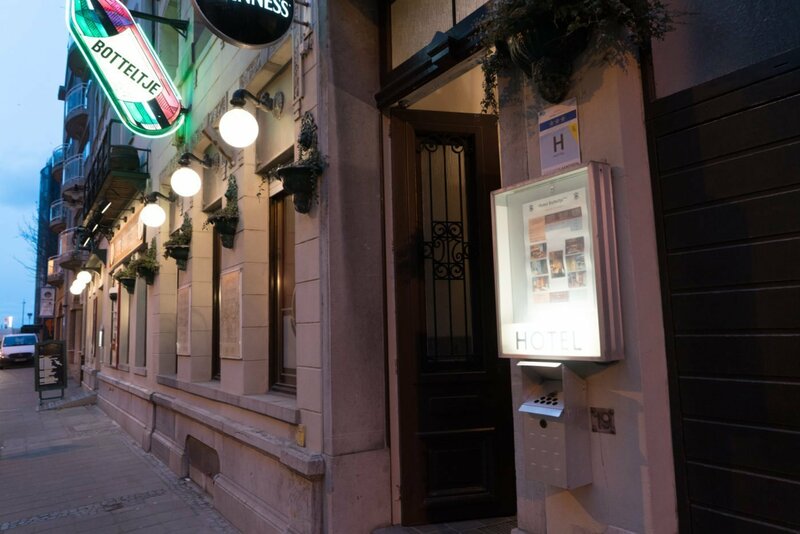 Moreover, Hotel ‘t Botteltje offers secured parking, something that most other hotels in the centre don’t! 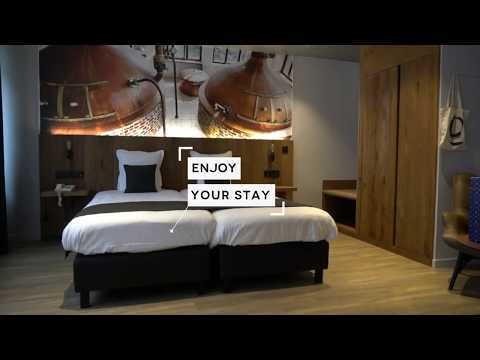 Hotel ’t Botteltje brands itself as a beer-themed hotel, which means that every one of the 15 rooms is decorated with references to a local Belgian brewery. In the minibar, there are two complimentary beers from that local brewery. I think that’s pretty cool, even I as a Belgian didn’t know the brewery my room was named after so I wasted no time to make that right. Apart from the beers, the minibar was completely empty though. It would have been nice to have a few drinks available for those who aren’t that fond of alcohol. 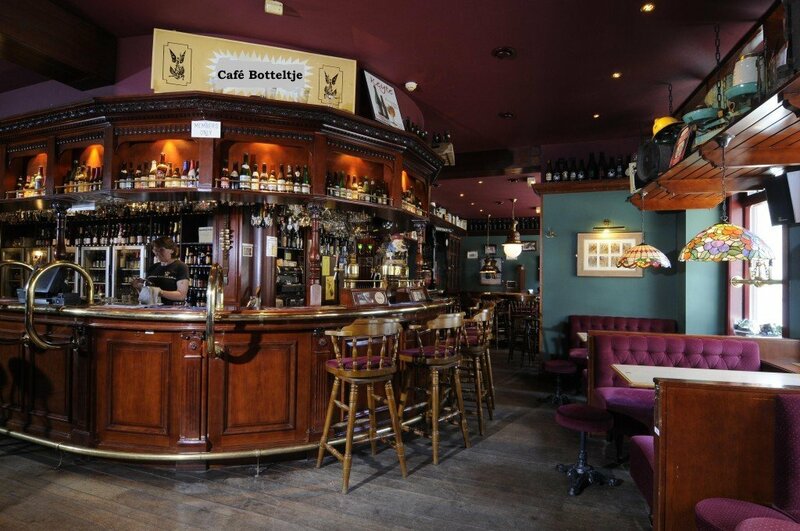 On the ground floor of the hotel is the famous Café ‘t Botteltje, a stunning old-world styled pub with over 70 kinds of jenevers and 300 beers of which 16 on tap! 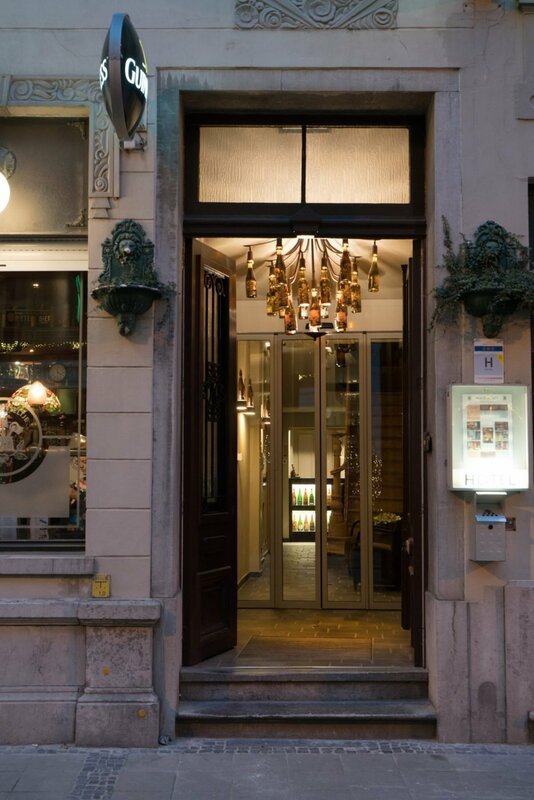 The café also serves dinner. Breakfast at Hotel ‘t Botteltje was okay, not an abundance of choices but enough to get you through the morning. The breakfast room was rather sad though with its old-fashioned, worn-out furniture. I wish they had gone all the way and created the same kind of ‘rustic inn’ vibe like you would have in the Café, with dark wood everywhere but they didn’t. Now it just looked plain outdated. Want to read more about what to do in Oostende? Just click here!